Hi everyone, I was a little late getting my Christmas cards made this year. Fortunately, they are now all out with Australia Post so I think it is time to share my design. Hopefully, I won’t spoil the surprise for too many people. One of the styles of cardmaking I love is that of making scene cards. 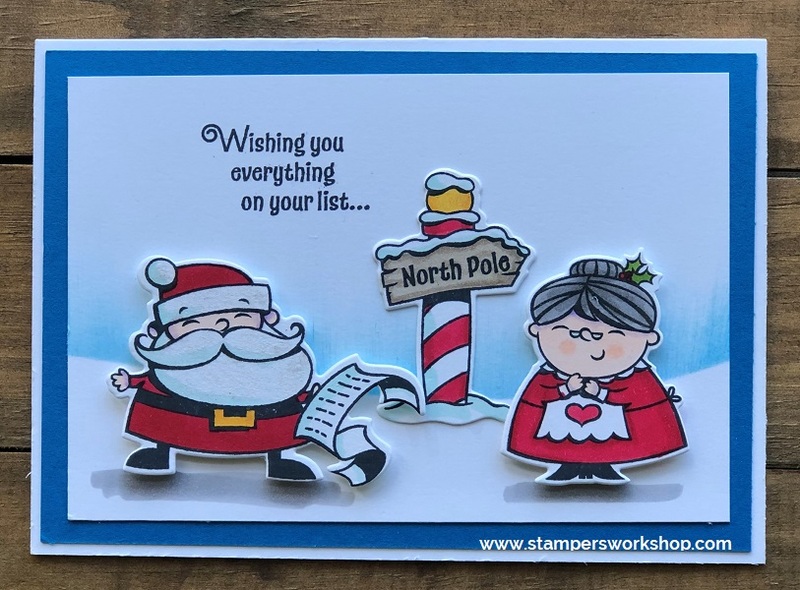 I haven’t done them for a while but when I saw the Signs of Santa Stamp Set I knew this would be my choice! There are so many different permutations and combinations I could have gone with but in the end, I decided Santa, Mrs Cluas and the signpost would be my choice. Those little elves are way too cute though so I will have to use them on another project. I wanted to create a simple card where the images just popped. The white of the background seemed a little too stark for me. 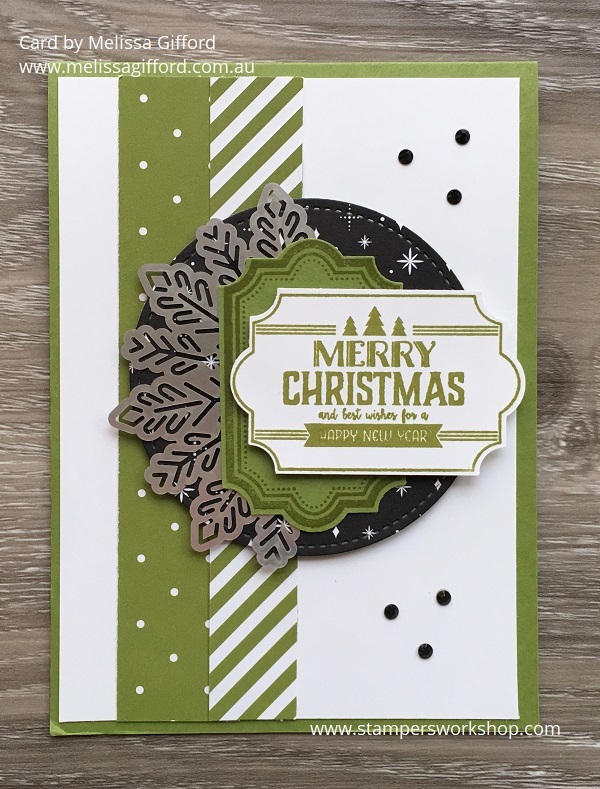 I used snow mound die from the Farmhouse Framelits die to create a template which I then used to sponge Pacific Point ink to create a soft background. When we sponge we generally try and aim for it to be without any streaks. I didn’t worry too much if it happened – it kind of added to the look of the card. All of the images were coloured with our fabulous Stampin’ Blends and then I finished it off with a little Wink of Stella in a few places. Aren’t they the cutest images? I love them! Both the of the sets I used to create this card have now been discontinued and will only be available while stocks last or until January 2 2019. I’m sorry to see them go. I particularly love the fence and the slope in the Farmhouse Framelits Die set. 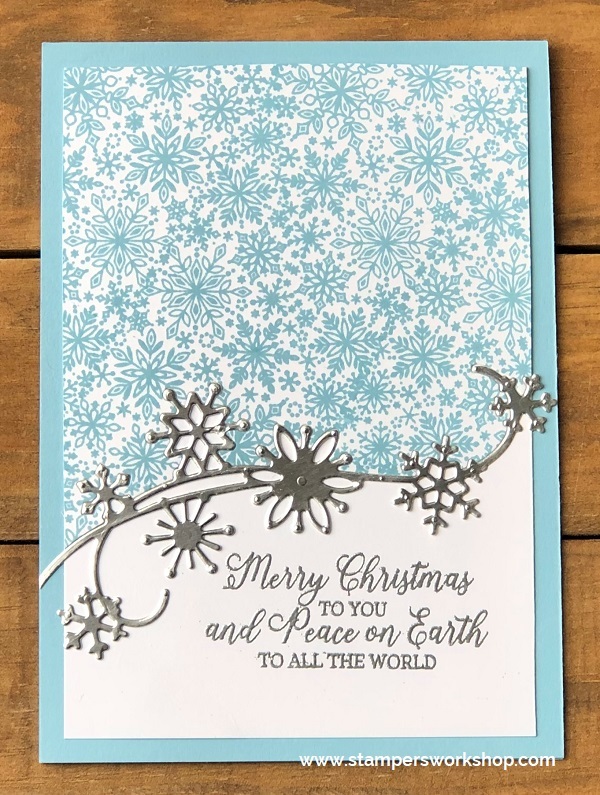 Hi everyone, although the gorgeous stamps and dies from the Snowflake Showcase are no longer available, I thought you might like to see the card I created for my workplace using the die set Snowfall Thinlits. I teamed up the snowflake die with the beautiful sentiment from the I’ll Be Home stamp set. I love the mix of the two fonts. Whilst I used gold as an accent, I think silver would look pretty too. Hi everyone, with Christmas fast approaching, I thought I would share a bundle which might go some way to making Christmas wrapping a little easier. The Tags & Tidings Bundle is super cute. 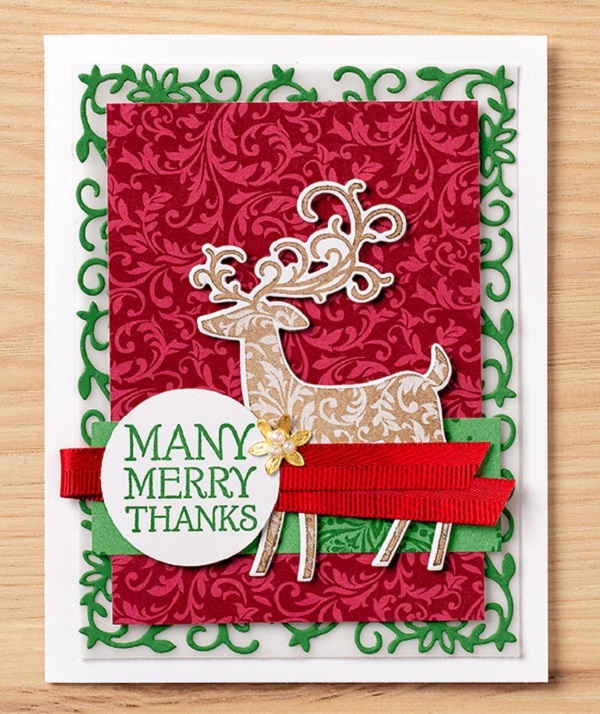 It is made up of the Tags & Tidings Photopolymer Stamp set and the coordinating Christmas Tags Thinlits dies. Tags galore! And all on one single stamp! That’s your presents done in no time at all! * Cling like crazy to our clear blocks so you don’t have to worry about slipping. Create 16 die-cut tags in record time with this Thinlits die–all with a single pass through the Big Shot. Okay, how totally cool is this bundle? I love how they have really simplified the process and yet, in the end, you get 16 different tags! So cool! 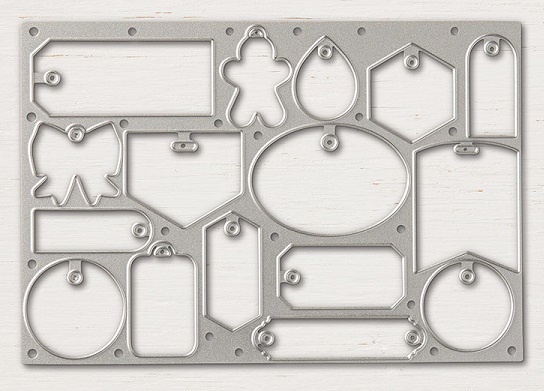 Of course, you could always use the die on its own and use die cut shapes for any occasion. So fun! Hi everyone, happy December! Can you believe we are already in December? I don’t know about you but for me this year seems to have flown by at such a rapid pace. Hope you have a happy lead up to Christmas! For the month of December, please use the code above when shopping in my online store if your order is less than $250 to receive a little gift from me. If your order is over $250, do not use this code as you will be entitled to Hostess Benefits on your own order. If you absolutely need items in time for Christmas, please try and order before December 10th to ensure it does arrive in plenty of time. Hi everyone, today is the last day to purchase items in the Snowflake Showcase. I’m going to miss this suite as it has such potential – not only for Christmas but for year round occasions. 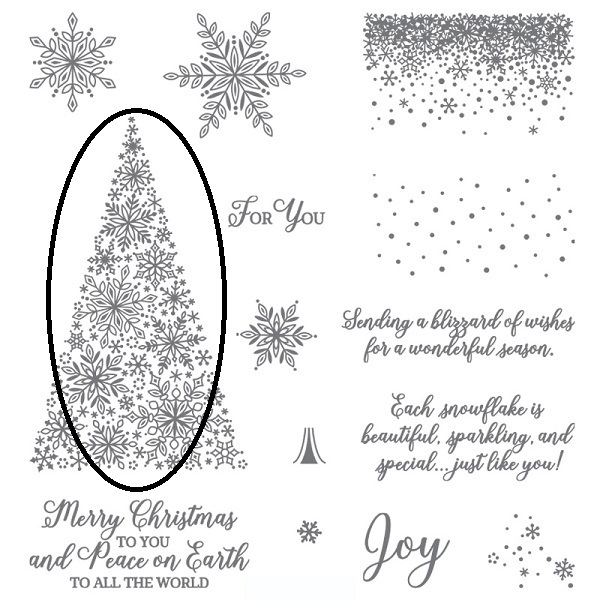 I was looking at the Christmas Tree shape in the Snow is Glistening stamp set earlier and I was admiring the pretty patterns. It crossed my mind that it would look BEAUTIFUL as a background so I had to give it a go. As the stamp is photopolymer it is really easy to look through the stamp and position it exactly where you want it to go. If you don’t quite match it up or even if it overlaps a little, don’t worry, it will still look really good. Doesn’t that look fabulous? No one would ever know that you used a Christmas Tree to create the background. 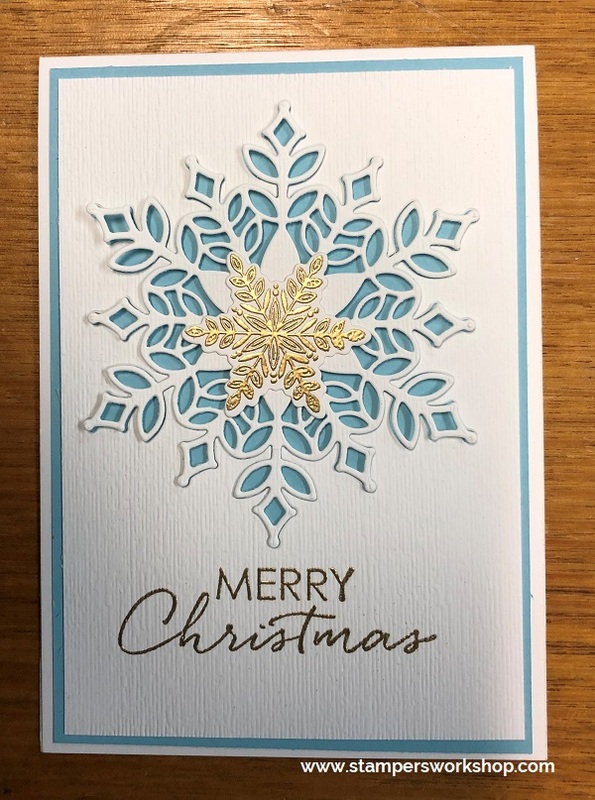 I used the flourish die from the Snowfall Thinlits die set to add a bit of extra flair to the card. My biggest tip for this part of the design is to use the Multipurpose Adhesive Sheets on your cardstock before you run it through your Big Shot. This makes it SO easy to adhere the die cut piece perfectly in place. I thought it might be fun to create another card using more traditional colours, plus add little more sparkle. I hope this inspires you to look at the stamps you have in a different way. If you do end up trying this technique, I’d love to see what you create! 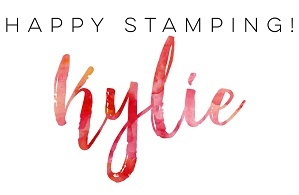 Hi everyone, Stampin’ Up! has advised there are a couple of items in the Holiday Catalogue which have been in high demand. Unfortunately, this means that they may not be available for the entire catalogue sales period. The items are: Joyous Noel Specialty Designer Series Paper, Festive Farmhouse Elements and Santa’s Workshop Enamel Elements. If you are using any of these items for your Christmas crafts, it is strongly recommended you place your order for any requirements as soon as possible so you are not inconvenienced. On the good news front, Stampin’ Up! 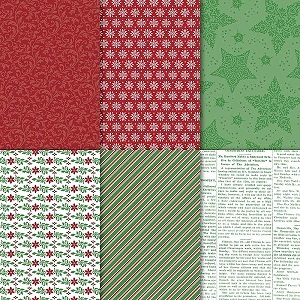 has re-released the limited edition Dashing Along Designer Series Paper in order to provide you with another Christmas themed paper option. 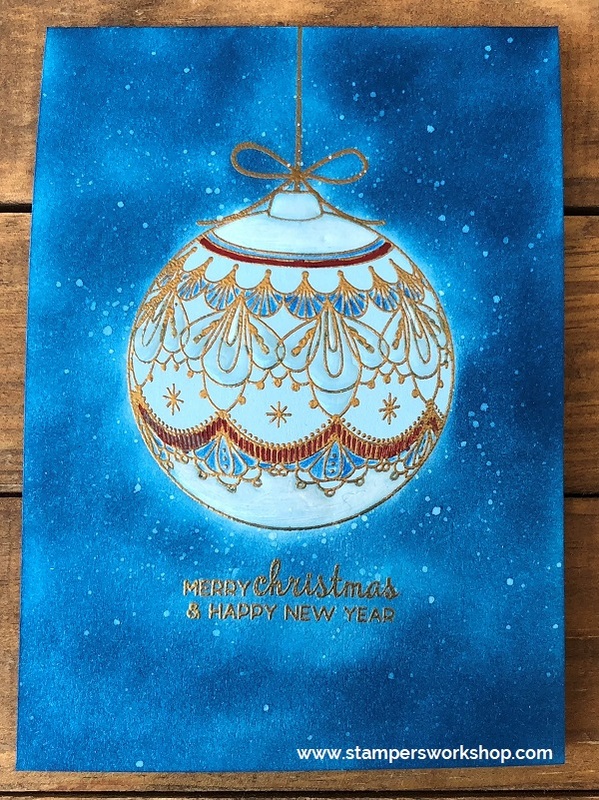 Hi, I thought I was finished making Christmas cards this year but after seeing Melissa’s card (which you can see in this post here), I knew I had to CASE it (Copy And Share Everything). Melissa gave me her blessing to do so. (Remember, you are welcome to use the cards you see online or in the catalogue for inspiration. Just remember to give proper credit to the original designer). I used the Merry Little Labels stamp set for my card as well as the fabulous Christmas Staircase Thinlits dies (I still haven’t begun to scratch the surface of this die set; it’s incredible!). I’ve used the same basic design for my card, however, I moved the strip of paper to horizontally across the page instead of vertically. The vertical direction of the sentiment meant I had to position the punched out shapes differently as well. I decided to add a bit of texture to the white cardstock and used the Polka Dots Basic embossing folder to achieve this. Instead of the snowflake, I used the boughs from the Christmas Staircase Thinlits die set. 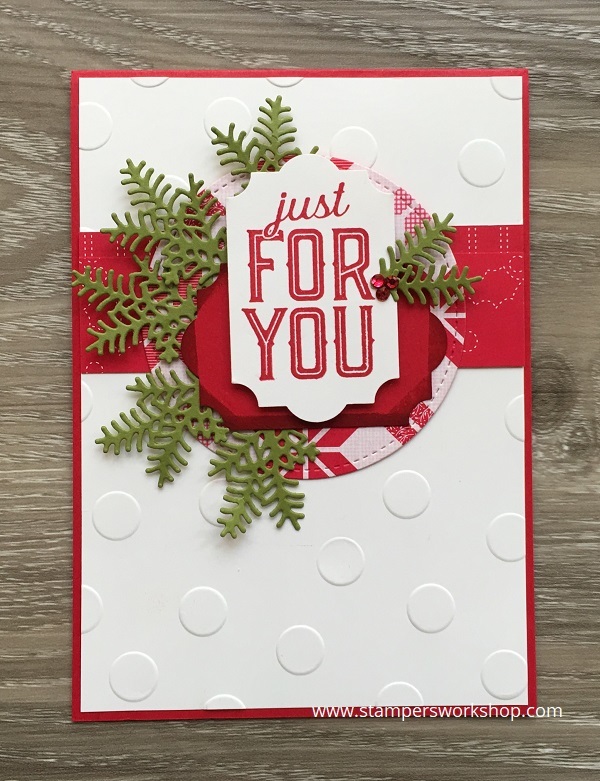 I thought my card needed a little something else so I added some holly berries and I think this touch finished the card off perfectly. To create the berries, I coloured rhinestones with the Dark Cherry Cobbler Stampin’ Blends marker. I think it is amazing how one card design can spark another one which is so different. If you are inspired by this card design, I’d love to see what you come up with! The second reserve window for the Stamparatus is now open. All the details are here. Don’t forget the Year-End Sales Event is still going on. Here’s your chance to grab some of your favourites before they are gone. All the details are here or you can shop 24/7 at my online store. The direct link to this Sales event is here. 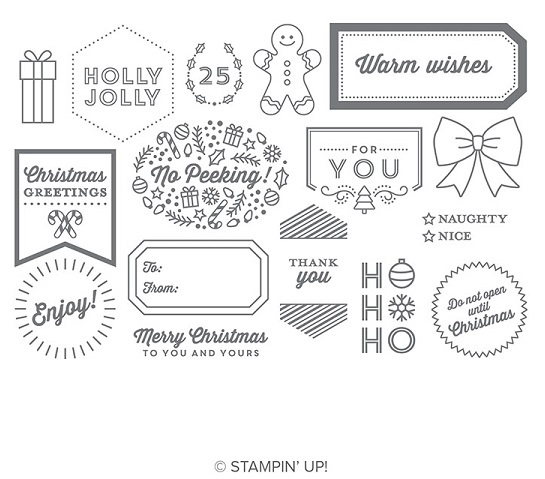 Lastly, Stampin’ Up! 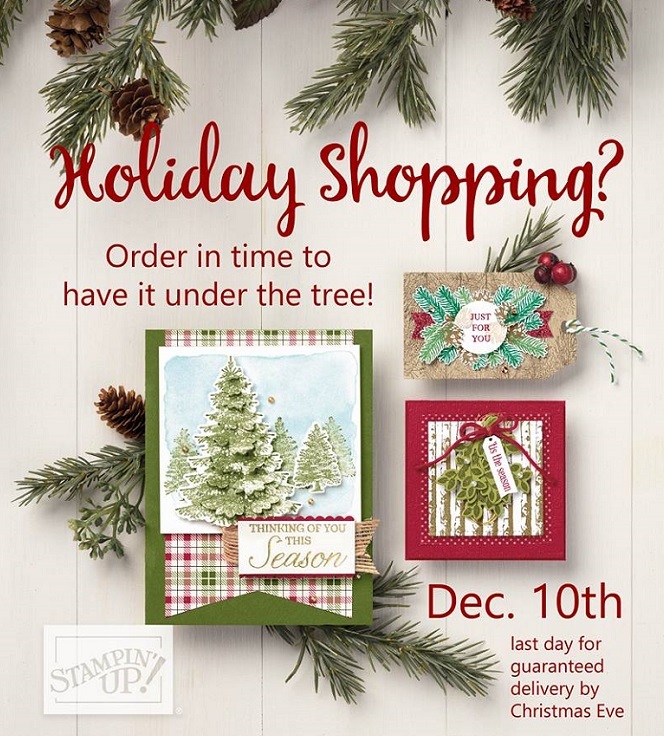 stated December 11, 2017, was the last day to ensure pre-Christmas delivery. Hi, something very special arrived in my mailbox which I really wanted to share with you all. I was blessed to receive a gorgeous handmade Christmas card from my friend (and team leader), Melissa Gifford. Melissa has graciously given me permission to share this card with you! I love everything about this card! I love how Melissa has used the Everyday Label punch to layer the sentiment. The foil snowflake is divine! (TIP: If you cut the snowflake in half like Melissa has done you can really maximise your investment in this product). I love the black rhinestones because, well, black bling…fantastic! 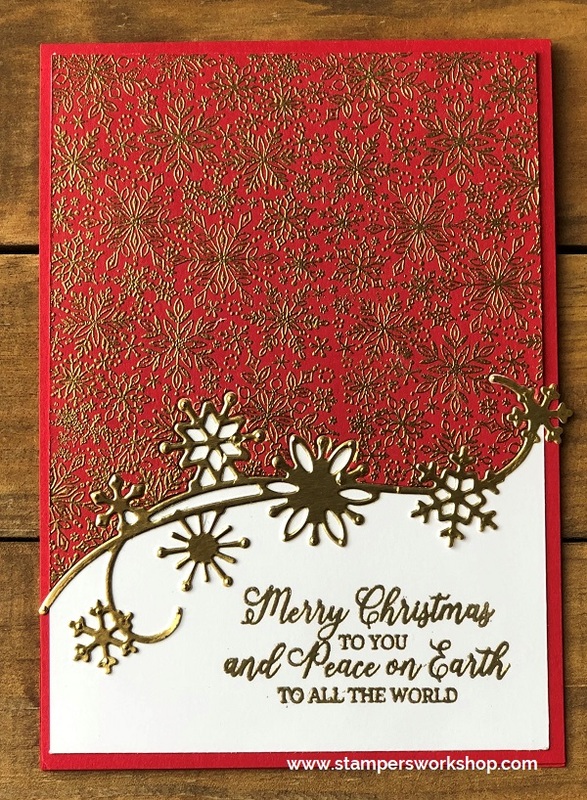 The design of the card is wonderful and could be used for pretty much any theme. Such a beautiful card! I’m grateful to Melissa for allowing me to share it with you today.